Back in the fall I committed to whip up a few things to go to an auction for my old high school. It’s a Christian school, so they do a big auction every year to help raise money and all. I finished it all up and got it in the mail this weekend! It feels good to finish something. Especially when it’s been on the to do list for a while. 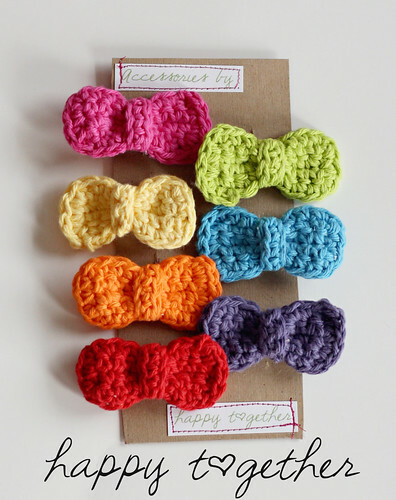 I made a bunch of colorful bows using this tutorial. 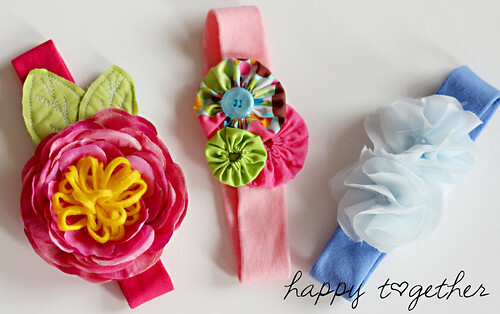 I also just had fun making a bunch of different headbands with things I had in the craft room. And my most favorite thing, this pretty necklace. I was so tempted to keep this. I love the whimsical fabric necklaces that one can create. It was very fun to put together. Maybe I should go make one right now? Hmmmmmm……. What a great gift for your old school. I had trouble sending an item I sent out in a Valentine’s package. There is always one that wants to stay. I love those headbands!! Everything is so bright and beautiful! The hair bows are adorable! and I wanted to tell you that I loveeeeeee your new header!!!!! It is amazing!!!!!!! Hey there! 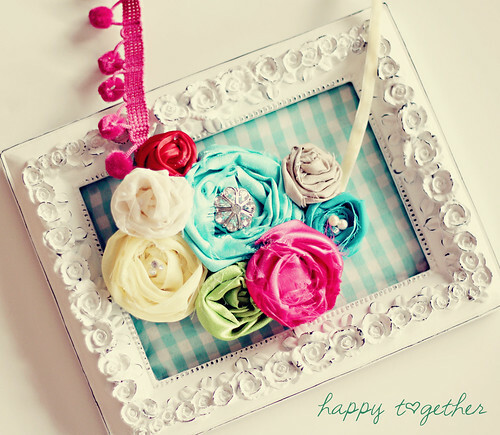 I am a new follower,as I came across your blog and LOVE IT! I’m seriously drooling… Absolutely beautiufl. 🙂 I’m a new follower.